CHICAGO, Oct. 1, 2018 – Baird Capital, the direct private investment arm of Baird, announced today that Nina Essandoh was hired as a Vice President with a focus on Industrial Solutions investments and Andy Dyer was promoted to Investment Director from Investment Manager. 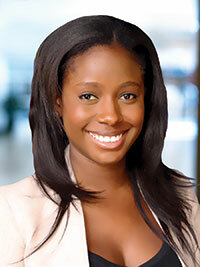 Nina Essandoh joins Baird as a Vice President with a focus on Industrial Solutions investments. Prior to joining Baird Capital, Essandoh was a Senior Investment Associate with Black Angel Technology Fund, a consumer tech angel investment fund. She was previously a Senior Associate with RLJ Equity Partners, a middle-market generalist private equity fund, as well as an Investment Analyst with Vantage Capital, a pan-African mezzanine debt fund. Essandoh began her career in investment banking with Credit Suisse, focusing on mergers and acquisitions, restructurings and equity and debt offerings within the Global Industrials industry. She holds a Bachelor’s degree in Economics from Spelman College and an MBA from Stanford Graduate School of Business. Andy Dyer joined Baird Capital in 2016 and concentrates on sourcing investment opportunities, deal execution and portfolio management in the Industrial Solutions sector. Dyer has been instrumental in developing Baird Capital’s Industrial Automation thesis, as well as Baird Capital’s investments in CAV Ice Protection & Advanced Technologies and Collingwood Lighting. Dyer’s previous experience includes work with Ernst & Young, Anglo American plc and Clearwater International, where he provided M&A advice to both owner-managed businesses and private equity firms. Dyer holds a Bachelor’s degree in Economics from the University of Warwick and is a Chartered Accountant. Baird Capital makes venture capital, growth equity and private equity investments in strategically targeted sectors around the world. Having invested in more than 300 companies over its history, Baird Capital partners with entrepreneurs and, leveraging its executive networks, strives to build exceptional companies. Baird Capital provides operational support to its portfolio companies through teams on the ground in the United States, Europe and Asia, a proactive portfolio operations team and a deep network of relationships, which together strive to deliver enhanced shareholder value. Baird Capital is the direct private investment arm of Robert W. Baird & Co. Incorporated. For more information, please visit BairdCapital.com.